It's almost fall. The days are getting shorter and cooler, the leaves will soon be turning color. 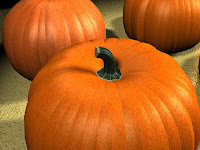 Time to get out to a local farm, enjoy a hayride out to the pumpkin patch and pick out your own pumpkin. When I was originally writing this post I was going to list all the farms in the area by county but there are a lot a websites out there that already do that (I will provide links to those Sites at the end of this post). Instead I decided to list a few farms that I have been to and give you my opinion about what I feel are the great places to visit and why you should check them out. So without further ado here they are. They also have a corn maze and decorate the store for Halloween. Demarest Farms has great pies and other food items as well as holiday items. 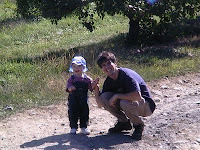 Tip: Go During the week and pay Just nine Dollars for the Hayride and up to 15 pounds of apples. Although this farm is a bit of a ride (about and hour and 15 minutes from the GWB) For Pumpkin Picking I don't think it gets any better. You and your family can take a hayride out into their 40 acre Pumpkin Patch and pick out a pumpkin that is still on the vine. Not too far about an hour from the GWB. They have a hay ride, corn maze, petting zoo and a cowboy show! It should be a lot of fun for all the kids. Family fun for all ages every Saturday and Sunday from September 19 to October 25 including Monday, Columbus Day. Enjoy the scenic countryside on an old-fashioned hayride. Features pumpkin picking on a 40 acre pumpkin patch, pig races “Pigtuckey Derby”, feeding the farm animals, a petting zoo, learning the work habits of bees with an up close look inside their hives, a hay maze and hay crawl to a Hay Mountain, a corn maze, the Boo Barn offering animated entertainment for the young and young-at-heart, and the Haunted Acres Hayride every Friday and Saturday through October 30 from 7-10 p.m. Walk among fun-filled, life-size scarecrows amid panoramic views of the Shawangunk Mountains.